There is something that is so fun about dressing up for the holidays. I love the reds and greens and emeralds along with a valid reason to dress up a little. That is why I called this post holiday excuses. I feel like we use everything as an excuse. It is the holidays though. We do justify spending a little more money, eating a little more food, and hopefully a little more Christmas spirit although it seems people are more grumpy! This skirt caught my eye not only for the color, but it looked long enough for me, and it is! 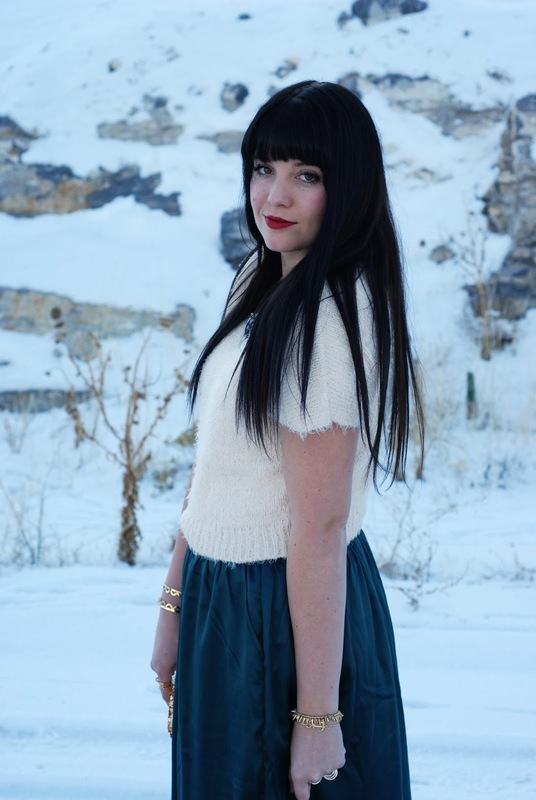 This skirt also comes in a gorgeous blue color. I had the hardest time deciding which color, but went with this emerald because I have been dying to have something in this gorgeous color! I can't believe Christmas is next week. I haven't started wrapping presents. I feel like there is no time to do anything!! I will just say, I am beyond excited for this weekend already. I am so tired and I can feel sickness coming on (knock on wood). Hope you have a wonderful rest of the week! 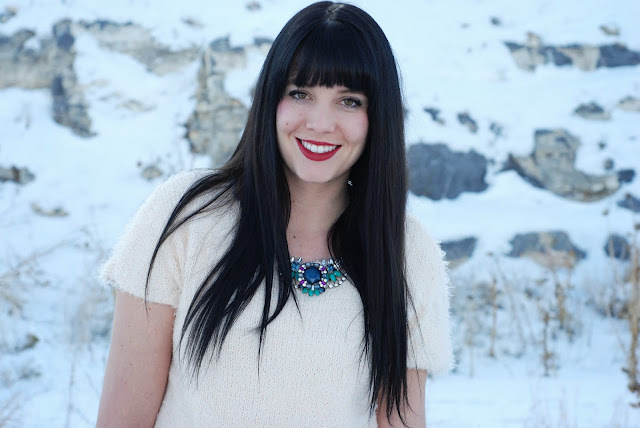 12 comments on "Holiday Excuses featuring Piperlime"
This whole outfit is wonderful!! 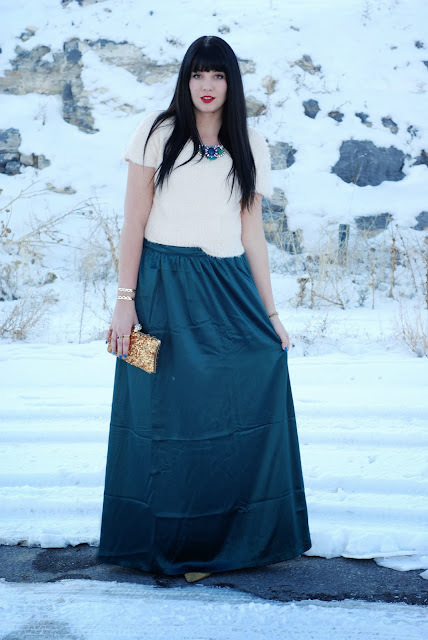 I feel like I can never pull off a maxi skirt in winter but this one is just perfect. You look so beautiful here! Loving the jewel tones and that skirt and sweater combo is gorgeous! 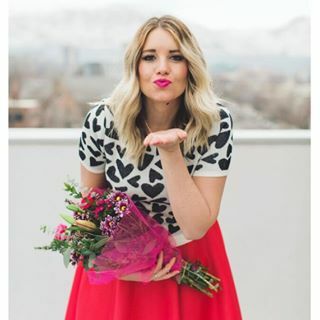 Very pretty look. That necklace is great. I love this skirt! And it looks great with your cute necklace! you look stunning! love that necklace! Pretty dress! Found you from the random wednesday link up! 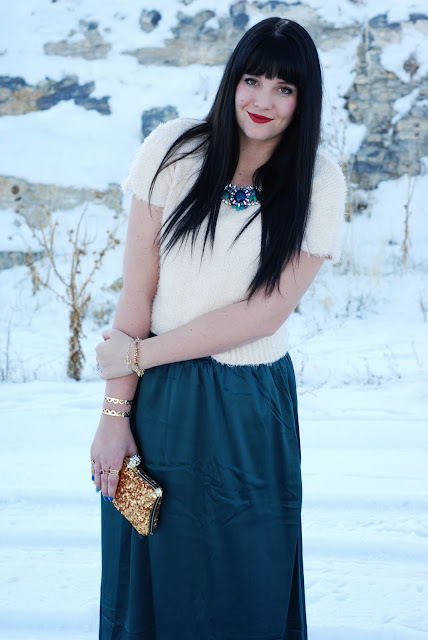 that skirt is lovely and perfect for a Christmas holiday party! 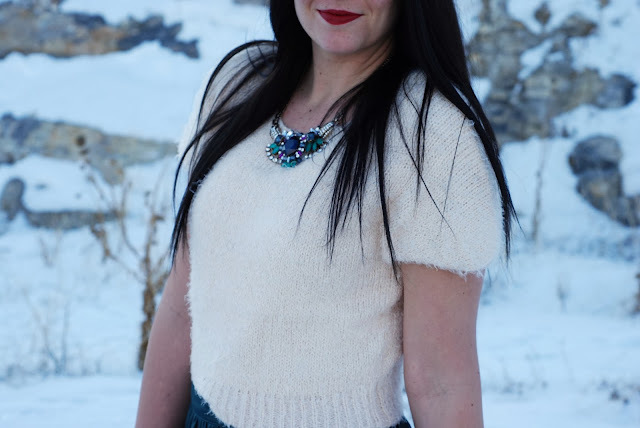 You look great and what a gorgeous backdrop too ... the things you do for fashion and your readers ... you must be freezing with that snow!